Lycos Internet Ltd, a digital marketing firm providing support services and software tools for online marketing, has decided to sell some of its internet patents as a part to enter into hard goods market, the company said on Thursday. Founded in 1999, Hyderabad-based Lycos Internet has a portfolio of patented technologies ranging from search engine to online advertising and gaming. "For us, it is of strategic importance to utilise all assets of the company in a manner consistent with current market trends as well as our collaborative corporate culture," said Brad Cohen, president, Lycos Internet. The company picked IP consultant Propeller(y) to either sell or license its technology patents. 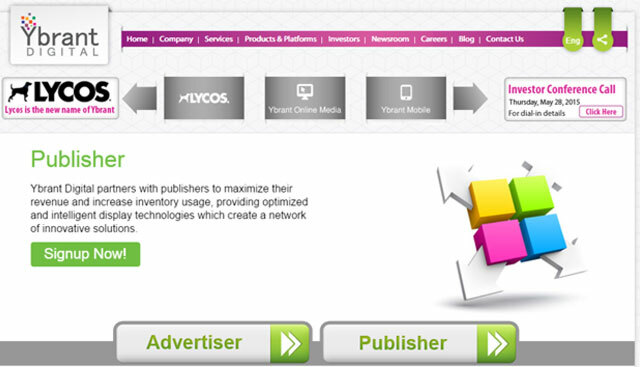 Lycos sells its products to the industries like online advertising, ad keywords, SEO, robust databases and online multi-player gaming. The company has so far raised around $100 million from several investors including Asia Pacific Capital , Oak Investment Partners, Sansar Capital and Birthstone Capital, according to VCCEdge, the research platform of VCCircle. Shares of Lycos last traded at Rs 34 each, up 3.03 per cent on BSE in a flat Mumbai market on Thursday.